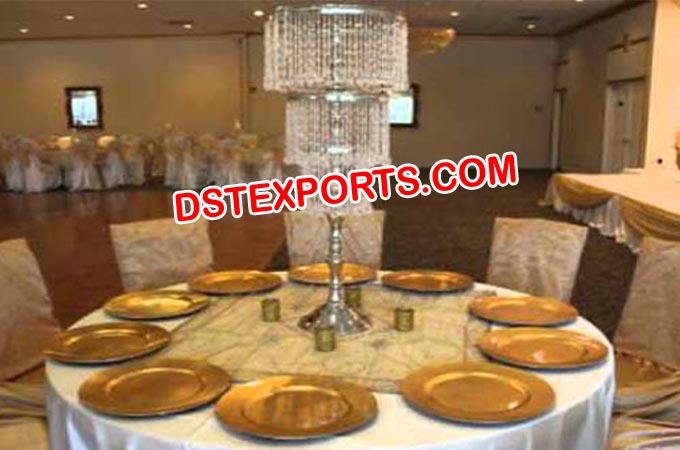 We are manufacturer and exporter all types of Wedding Table Crystal Centerpieces Lamp, Silver Crystal Center Pieces, Sparkling Crystal Candle Stand ,Vintage Elegant Crystal Center Pieces, Candle Holder, Crystal Candelabras etc.. Wedding Table Crystal Centerpieces Lamp is made in Silver metal.We can provide various shapes of crystal candelabras for you such as flower, ball, heart, bowl, Lamp, Half Ball etc� Our Crystal Candelabra can be used widely used for party decoration,Wedding Decoration,office and home decoration and so on.You can put candles and Led Lights on it.We are very sure our crystal wedding candelabra will bring you an elegant,memorable and visual feast. If you are interested in our products,please feel free to contact us.